Traveling spa operators go the distance for beauty. They travel to their clients to offer hair, skin care, nail, massage or other spa services. They succeed by finding niche markets. Their clients are willing to pay for the convenience of relaxing on home turf. Personal appearance workers have been exfoliating, polishing and styling their way into many new jobs. The U.S. Bureau of Labor Statistics says these workers will see faster than average growth through 2016. The spa industry has changed its own image. Before, spas had the image of pampering. But after the industry completed its own makeover, our busy, stressed population sees spa treatments as a necessity. Pampering is a new necessity. Surveys show that spa consumers are getting smarter and more demanding. Consumers are looking for an overall experience that is really worth the money. Traveling spa operators answer that demand by bringing their services on the road. Hollie Merchant started Blue Valley Massage and Traveling Spa in 2000 with one friend. Now she has 13 employees and a successful business. Merchant operates in a tourist area of Ohio. It’s popular for the natural beauty of waterfalls and caves. Many people vacation in the area and rent cabins. Merchant works with the cabin owners to help promote her services to the renters. She started out just offering massage. She has expanded the services her company offers. Her business now offers manicures, pedicures, facials, hair up-dos and makeup. “Brides love it. It’s a 15- to 20-mile drive to the nearest salon,” she says. Having these services come to them makes their big day easier and saves them time. For Merchant, adding services meant finding skilled workers. It was a challenge for her to find experienced, reliable nail technicians. The U.S. Bureau of Labor Statistics projects that job openings for nail technicians will grow 28 percent through 2016. Estheticians (skin care professionals) and skin care specialists have an even better outlook. 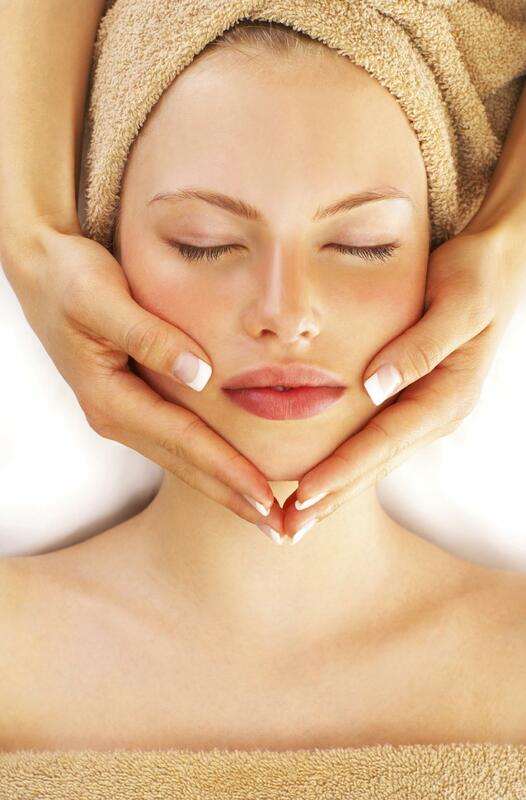 The popularity of facials and improved complexion will swell the occupation by 34 percent. Merchant agrees that the outlook for skin care professionals is great. She’s seen skin care and spa services take off. It’s a popular way for groups of women to bond. She sees women who want non-surgical options to look their best. There are some notable trends in the spa world. Family spas that allow couples or parents and their kids to share the experience are gaining popularity. More teens and men are visiting spas. Merchant says that 80 percent of the men she massages are first-timers. They are often more comfortable staying in a familiar location. She says the couple’s massage she offers is really popular. The couple lays side-by-side and two massage therapists work on the pair at the same time. She has a lot of repeat customers. She sees them year after year when they’re on vacation. Ohio’s Blue Valley is a peaceful getaway. Getting a massage in the comfort of the cabin adds to the experience. The good relationship Merchant keeps with the cabin owners is very important to the success of her business because she caters to tourists. She has noticed in many tourist areas that traveling spa services are not available. She thinks there are many untapped markets for this type of business. And she’d like to see more traveling spas so that she can use the services herself when she is on vacation. Spas that are good for the environment are popular. There’s been a rise in eco-friendly spas that incorporate the outdoors. Using natural products and organics, hydrotherapy and ancient therapies is trendy. Today’s busy spa-goers keep one eye on their watch. They want the spa experience to be a quick and convenient experience. Another trend was using spas as a bonding experience. Amy Lee started a traveling spa business that caters to the elderly. “There are many people who can’t leave their homes for whatever reason and they too want to have services done,” says Lee. Her services are often arranged by family members for an older relative. They want to do something nice for the older person who has trouble leaving home. Lee also travels to pamper birthday party guests and bridal parties. “I do believe a lot of clients are wanting the whole spa experience including the tranquil and relaxing environment,” she says. That’s why more and more clients are choosing destination spas. Personal care and service is a popular occupational group for home-based businesses. That’s according to a report from the U.S. Bureau of Labor Statistics in 2004. Personal care and service includes the work of cosmetologists. The report recommends thinking about what types of services you’d like to offer. Then you should look into local laws and regulations. There are some sanitation concerns for traveling spas. The tools used for any esthetic procedures must be sanitized. When you travel to a location for the first time, you will not know how clean it is. Certain procedures require a sanitary area. Health concerns are important to keep in mind. The cosmetology industry is regulated differently from state-to-state. Traveling spa operators must know what regulations apply to the business. Merchant says that she is able to manage safety concerns because she knows the cabins she visits. She does not offer any facial extractions or any medical cosmetic procedures. “There’s nothing where we’re breaking the skin,” she says. A managing cosmetologist works with her business to make sure they meet all the Ohio State regulations. Merchant advises people interested in starting their own traveling spa to start small. It’s important to build a relationship with the people you work with. Merchant says to make it as your own boss you must schedule your time well. You must be reliable for your clients. “Some people require a more supervised environment to feel comfortable or to do well in their job,” she warns. Lee is rewarded by the appreciation of her clients when she comes to them. But she has to work hard to manage her business and build her client base. And the work can be tiring, as you are always on the go. “Traveling spas are popular but you must make sure there is a demand for such a business in your community before starting,” says Lee. Contact me to learn more about starting your own mobile spa! As a former owner of a successful mobile spa company, I am extremely knowledgeable about setting up your company, marketing your spa, and all operational procedures that should be followed. Pursue your dream of being a mobile spa owner today! Iam trying to get a mobile spa buisness started right now. I need to market and built my client base. This is going to be a very small buisness due to the extremely small town that I live in and the small demand within it, also I have limited time. On the other hand my goal is to eventually have built up enough clients to keep me buisy daily, but this will be sometime in the future. My question is since I am starting out so small I don’t want to spend tons of money on marketing. Are there cheaper ways to get your name and buisness out there without draining yourself finiancally? Hi Sarah! First, you may want to do some research to see if there is interest in your market for a mobile spa. You mentioned that there is only small demand within your town so you’ll want to make sure that you will have enough customers to sustain your business before you launch it. Also, you will want to make sure that you have enough time to really devote to your business so that it can be as successful as possible. Owning a small business is another full time job! As for marketing, utilizing social media tools such as blogging, twitter, and Facebook are all FREE ways to market your business. Outside of that, grass roots marketing (i.e. advertising in local newspapers or magazines, partnering with local businesses, flyers/mailers to local residents) are also low-cost ways of directly reaching your local market. But before you spend a dime on marketing, make sure that you will have enough time and potential customers to support your business. I hope this helps! I need help with flyers/mailers to send to potential clients. I want to offer high end eco friendly facial treatments and services and need some ideas. Hi Nichole! Are you already in business or are you in the planning stages? If you need help with flyer/mailer development, then you many need the assistance of a great graphic designer. Graphic designers can help you to create your marketing materials by ensuring your message is being clearly articulated and packaging that information in a visually appealing way. You can find tons of graphic designers at affordable rates by checking out http://www.elance.com. If you are just starting out and are wondering what you should offer, then I suggest you take a look around at similar mobile spas in your area to get an idea of what others are offering. You can also check out spa-related magazines such as http://www.SpaMagazine.com and SkinInc.com. These magazines routinely feature eco-friendly products and services. I hope this helps!! I am currently in the process of starting out for a mobile spa business. I am in the business plan stage. I wanted to get an idea of what goes on at these spa parties. so I had a spa party for my birthday. The company was horrible. The owner never called back to see how everything went, the girls who did the mini pedis, manis and facials were horrible. they did not create a spa environment at all. I am from new jersey and this is where her company is based. (i won’t say any names), but I feel as though this co is all about the money and not about pleasing her clients. she will never get a referral from me or will i ever use her again. hopefully i won’t need to when i start my spa business. My question is there are so many companies out there, how do I stay focused and not worry about what anyone else is doing? If i start out small how many people do i hire in the begining? I am in the business planning stages of a mobile spa business, that focuses on home spa parties. Where would I find information on how much to pay an esthetician and nail tech for my area? I would prefer to just contract out rather than hire employees at this point. I am just finishing up massage school, so this would be a small venture and I would be doing the massage part. Also where can I find marketing research for spa parties? When I first heard of this stuff, I was really amazed. A few weeks ago, I just experienced being massaged by the so-called traveling spa operators. It is true that they go distance for beauty. That experience was really memorable. We must have 1oo’s of massage people on the Big island and I don’t think there are or is anyone offering traveling to someones home.